I was seriously conflicted about how much time to spend in San Francisco. Do I spend two days or try to cram it into 4 hours? Well, you can see from the title what I decided. Now if you’ve got a layover in San Fran it is doable to run down into the city but be wary of how you get there and how much time you have. Traffic is terrible. If you’re choosing to take a taxi you will eat up all of your layover time in traffic on the way to and from. There is another option. You could take the Bay Area Rapid Transit (BART). This is a rail service that runs throughout the Bay area and from SFO a train runs every 20-30 minutes. The trip will take 30-40 minutes each way and cost just under $20. Check the schedule before you’re traveling to see if it can fit in your schedule. I rolled into town around 6 pm. I drove in along the Embarcadero. I noticed all of the pretty shops and restaurants and there were a lot of people running. One of my friends had told me about the Farmer’s Market that they have along the Embarcadero. Unfortunately, I got into town well after the market closed on Thursday and it was not open on Friday, however it is a must visit when you are in the San Fran area. The area I was staying in was the historic area called Fort Mason. Fort Mason is a former Army base located in the Marina district above Fisherman’s Wharf. 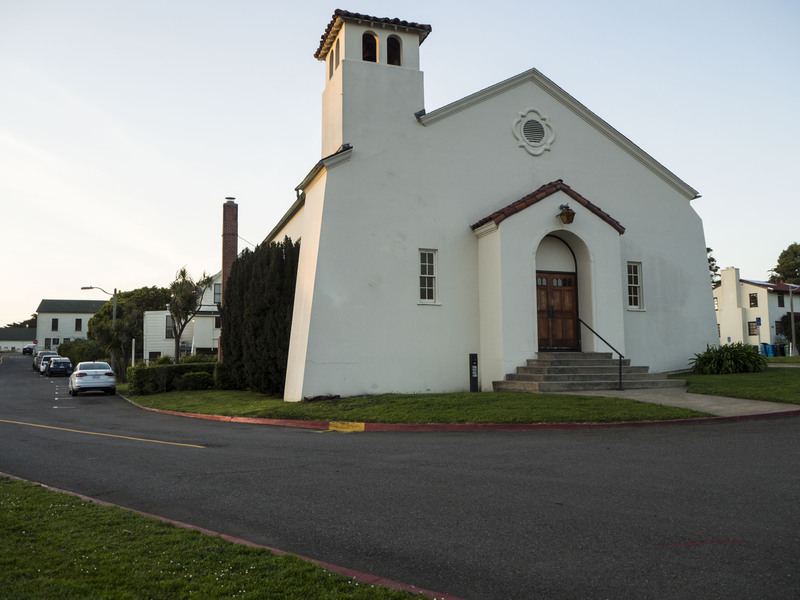 The base was constructed in 1912 and was the principal port of the Pacific campaign during World War II. 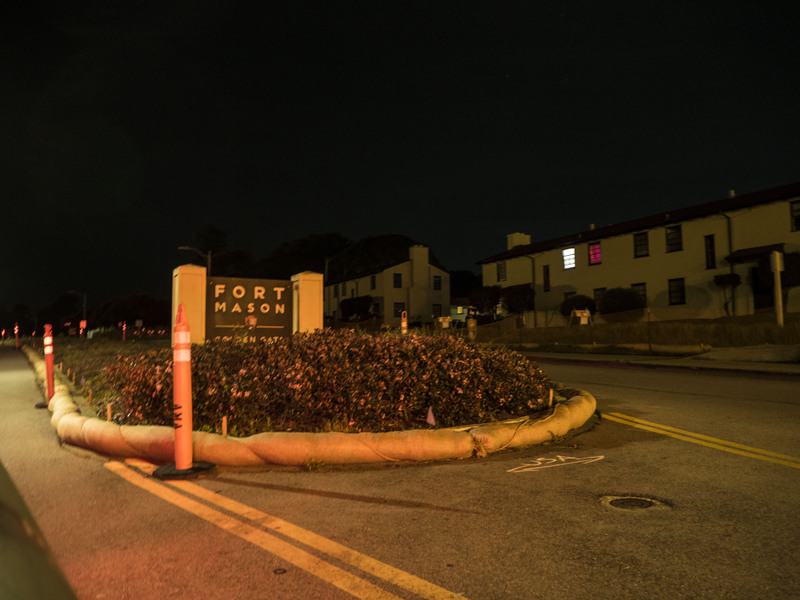 Although the US Army still operates officer housing in Fort Mason the National Park Service took over the administration of the area in the 1970’s. Now Fort Mason not only houses officers but has converted some of the buildings to apartments which are rented to the public and one of the buildings was converted to the HI – Youth Hostel. 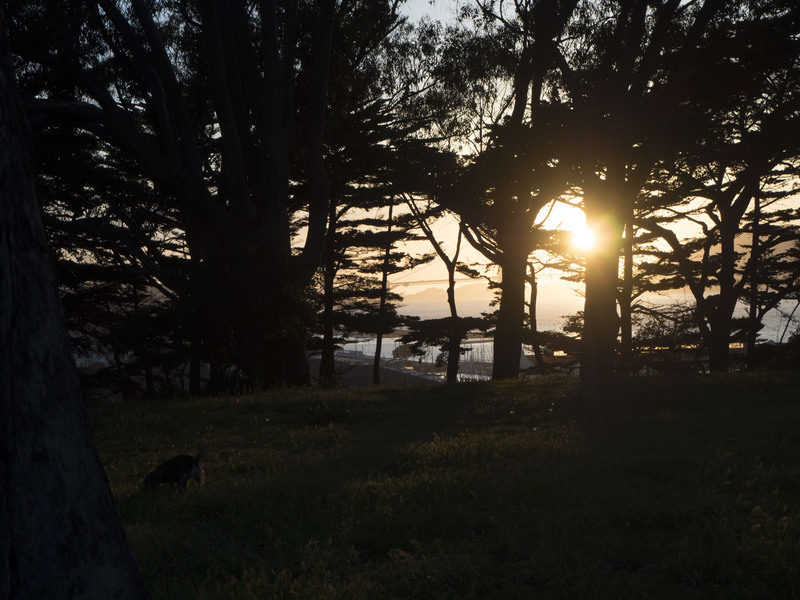 Fort Mason offers great views of the Golden Gate Bridge and Alcatraz as well as the Bay. 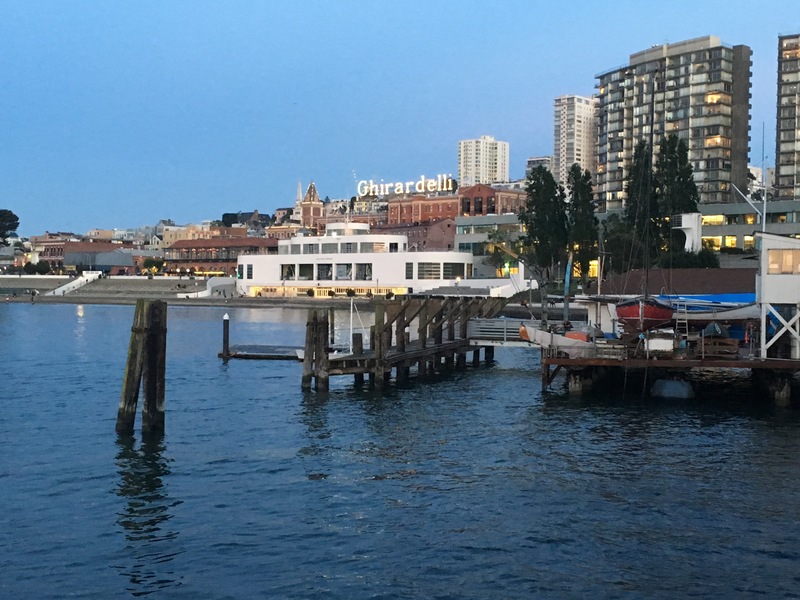 Once I found where I was staying I made my way down to Fisherman’s Wharf for dinner. 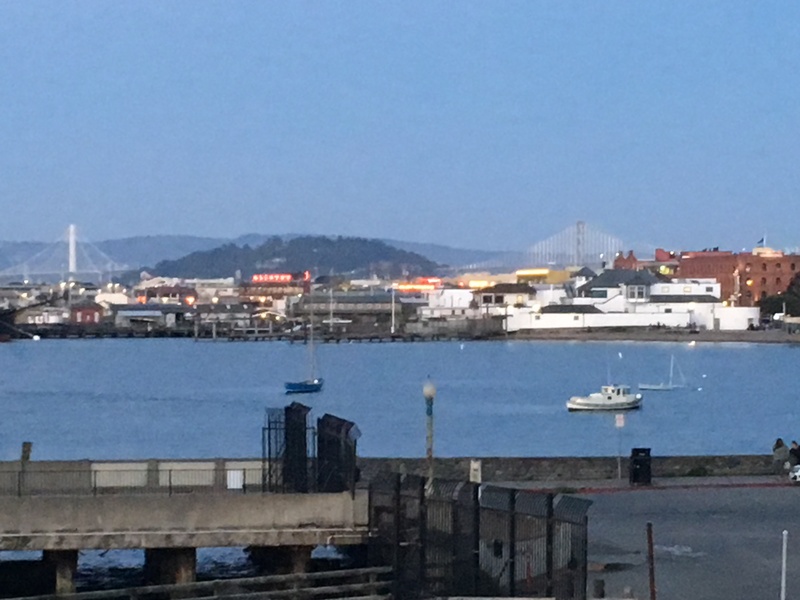 Why did I pick Fisherman’s Wharf? Easy, it was within walking distance of the hostel I was staying at in Fort Mason. I have to admit I had a very different version of Fisherman’s Wharf in my memory from what it now is. My memories have large wooden warehouse buildings filled with windows and two stories, sitting next to a large boardwalk. Perhaps that is still there and I just didn’t walk down far enough but the part I was in but it reminded me of a summer resort area in any vacation town. All of the restaurants and shops were geared toward tourists. 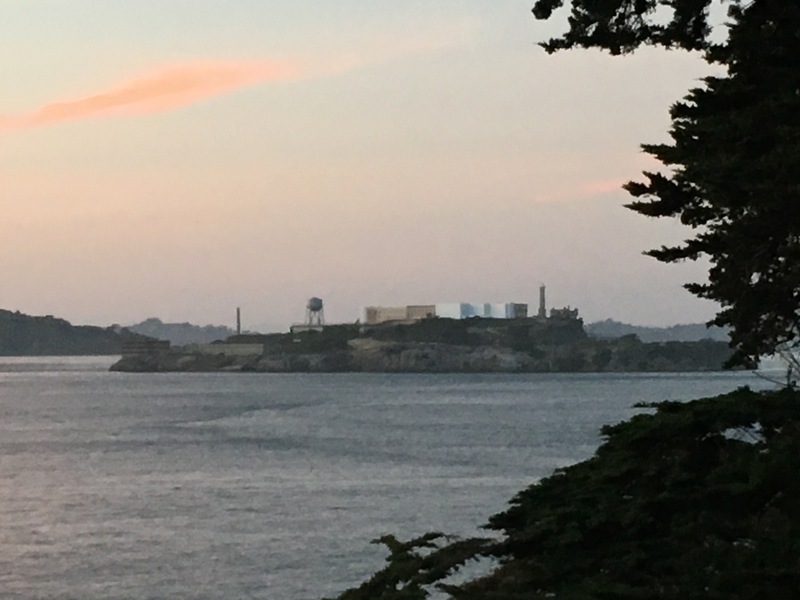 I was there just as the sun was setting and was able to get some great pictures of the Golden Gate Bridge and Alcatraz on my walk. As I walked I really didn’t know where to eat. I was at that point where I was no longer hungry because I was past starving. I decided to have Italian since it seemed to be a bit of theme for the restaurants along the section of the wharf I was on. 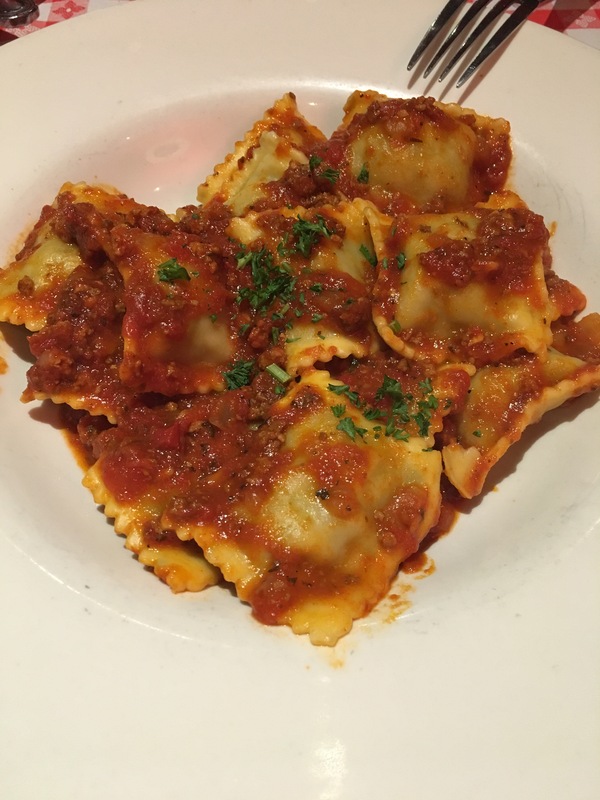 I stopped into Capurro’s and ordered the ravioli which was stuffed with braised beef and pork. It was sooo good. With my tummy filled and my brain becoming addled with sleep, I decided to walk a little bit along the wharf. It was getting late and shops were beginning to close but I couldn’t help but feel like I was at the epicenter of tourism. The HI hostel in Fort Mason is clean and safe, to be honest, I just needed somewhere to stay that was close to the 101 that wouldn’t break the budget. They also had free parking, which is really hard to find in San Francisco. However, I probably had one of the worst nights of sleep I’ve had on the trip. At no fault of the hostel but the rooms were dorm style and had 8 beds in each room. The walls were a bit too thin and I had a chorus of snoring occurring around me. At 4 am I was wide awake and there was no sign of the snoring to stop, so I got my stuff and decided maybe it would be a great time to start back on my trip. I had a fleeting thought of driving up to Twin Peaks and watching the sun rise over the bay and San Francisco but the lack of traffic at this early hour made continuing on my road trip more appealing. Needless to say, I probably didn’t see 1/8th of what San Francisco had to offer on my short time there and would definitely take more time on another trip. This was after all the first night of my three-week road trip and I was anxious to get everything in. Sometimes no matter what you do things aren’t going to go your way. It’s how you deal with it at those times that make the difference. Getting an early start made sense to me and staying around until something opened up didn’t appeal to me. So I continued on with a promise to visit again. Until next time.